This sweet treat makes the most of fall’s bountiful harvest. 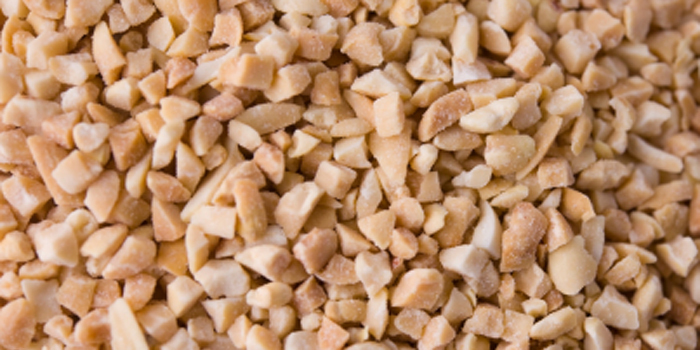 Caramel and peanuts together provide a perfect blend of sweet and salty. Cover baking sheet with waxed paper. Remove stems from apples and insert a dowel or skewer two to three inches into the stem end of each apple. Set aside. Place chopped peanuts in a bowl. Set aside. Place caramels and vanilla in a deep microwaveable bowl. Microwave at 50 percent power for two to three minutes. Stir. Microwave for two more minutes, or until almost liquid and smooth. Holding an apple by its wooden dowel, dip it into the melted caramel, tilting the bowl of caramel and twirling the apple to coat completely. Allow excess to drip off. Dip the caramel apple into the bowl of chopped peanuts, rolling to coat. Place on baking sheet. Repeat with remaining apples. Chill for 30 minutes or until caramel is set. Serve as is, or cut into wedges, removing core and seeds. This article and recipes by Erica Derr first appeared in the September 2001 issue of Our State magazine.